Thirsty? 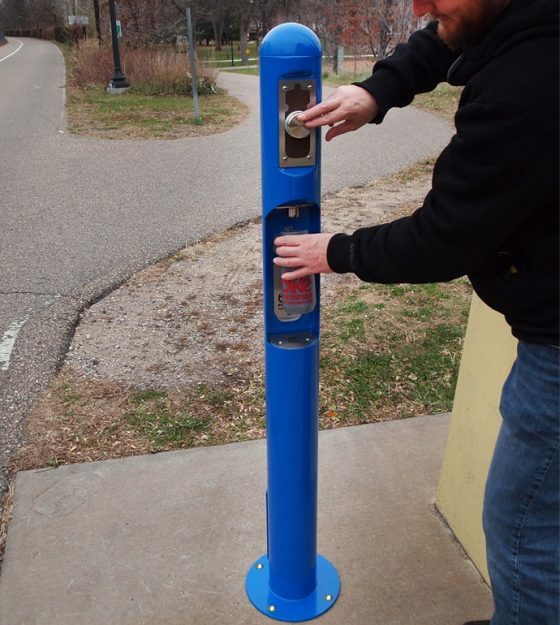 The Bottle Fill Station provides free access to drinking water for anyone on the go, reducing plastic bottle waste. 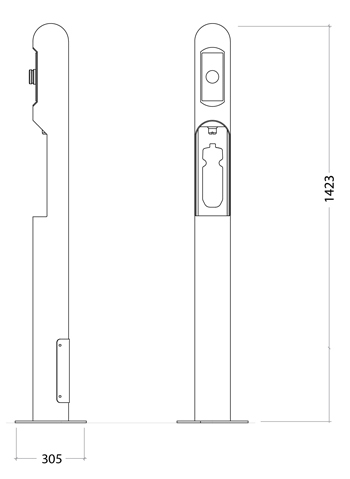 Ideal for public places and easy to install, its theft proof design is made from laser cut steel and CNC machined stainless steel and features a smooth laminar flow water filler nozzle and integrated inlet water strainer that is compatible with all types of water bottles, as well as a theft proof auto shut off water valve which prevents water waste. 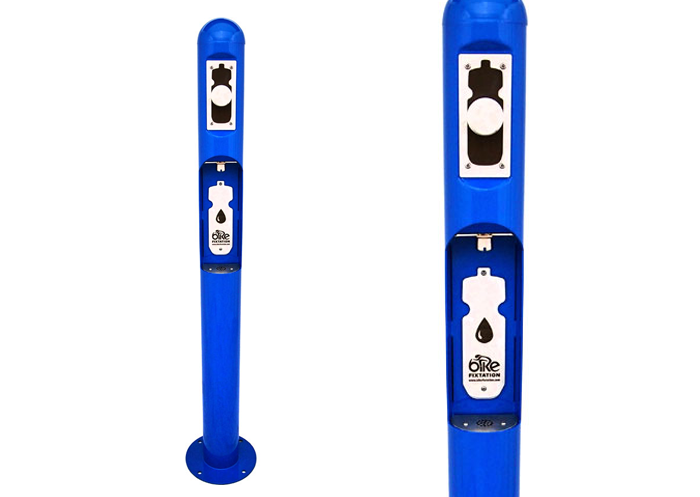 The Bottle Fill Station is designed to complement the Deluxe Repair Station and the Public Bike Repair Stand.